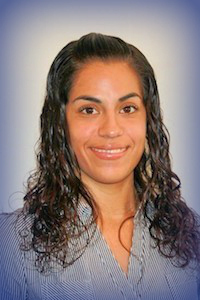 It is our pleasure to introduce our legal assistant and bookkeeper, Grace Artiga. Ms. Artiga does everything from setting appointments for our clients to administrative work and recordkeeping. Additionally, Ms. Artiga assists attorneys with their case load and communicates with clients to discuss documental requirements to process their immigration cases. Helping others achieve their goals and secure their family’s future in the U.S. is what’s important for Ms. Artiga. Ms. Artiga was born in Ensenada, Baja California, and was raised in New York until the age of 15. After returning to Mexico to finish high school, Ms. Artiga relocated to San Diego, where she has been living ever since. Since childhood, Ms. Artiga felt the need to give back to the community and has always strived to help out whenever possible. Ms. Artiga was heavily involved in extracurricular activities, such as volunteering for non-profit organizations helping animals and keeping the oceans clean. Having the opportunity to help others is what Mr. Artiga finds particular important in the immigration field. In her spare time, she enjoys hiking, camping, dancing, traveling and spending time with her toddler. Click here to read more about Ms. Artiga.